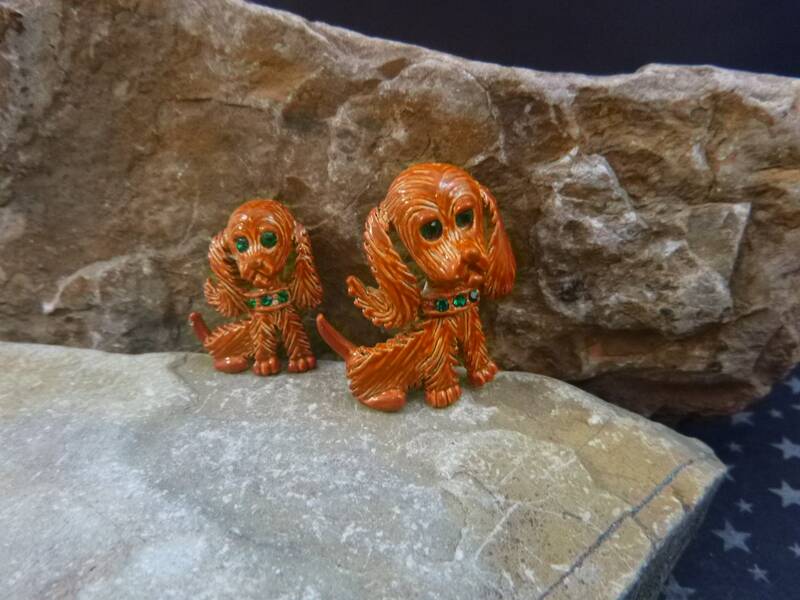 I found these very cute cocker spaniel scatter pins at an antique mall in northern Colorado. 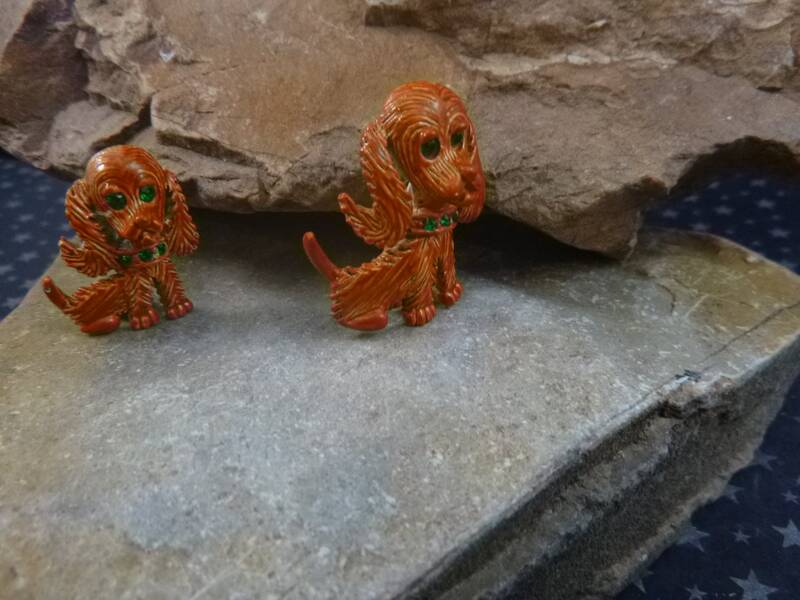 The maker’s mark on the puppy and its mother is Gerry’s © on the back of each of this vintage scatter pins. 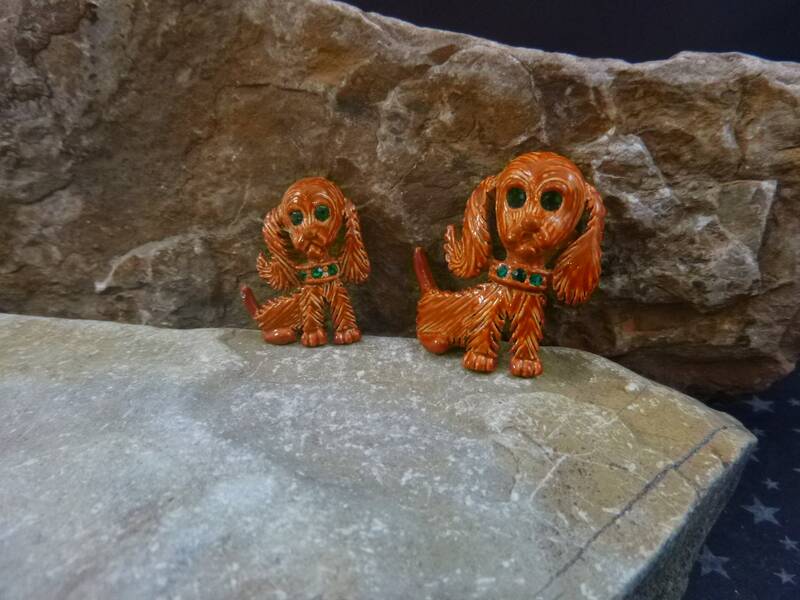 That’s a hallmark for Gerry’s Creations, a company started in the l950’s by Geraldine Giles. It ceased operations in 2001. 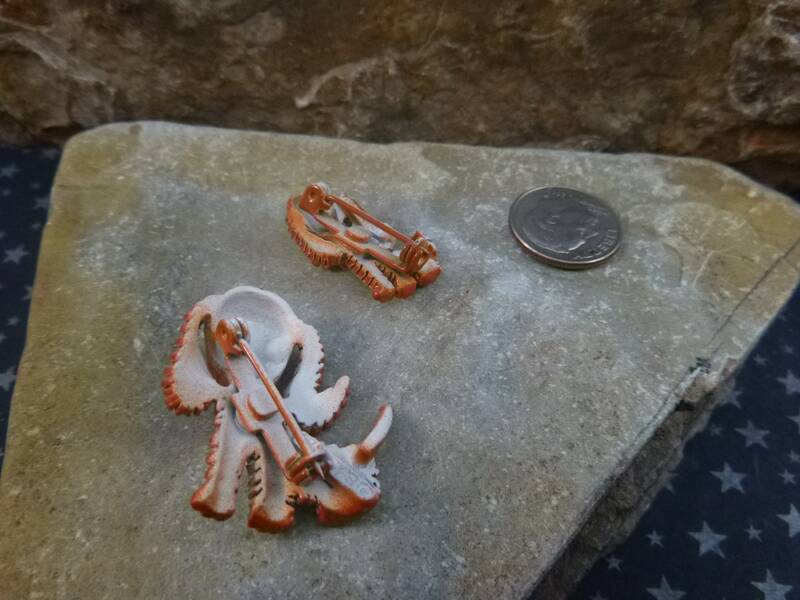 Known for their small metal figurine pins, this cute set is a wonderful example of their style. 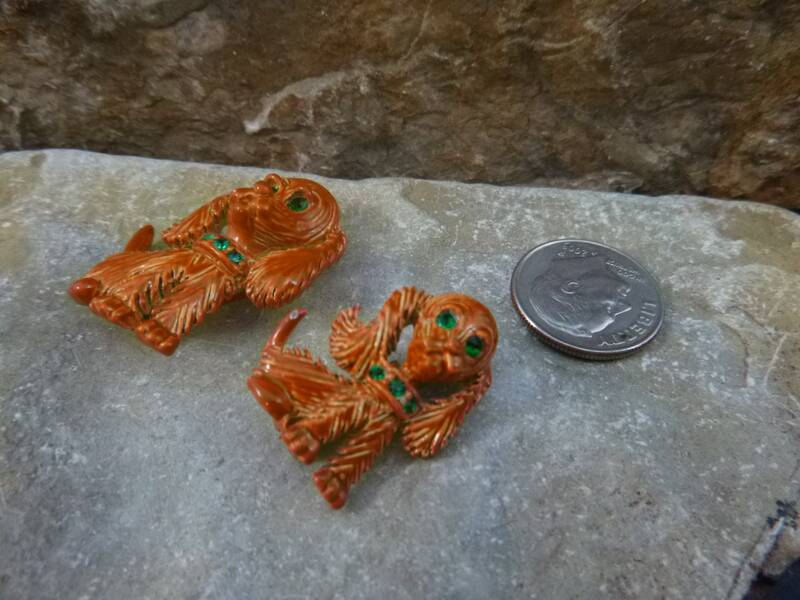 The momma dog measures 1” long and 1 1/8” tall; the puppy 7/8” tall and 5/8” wide. The detailing on the fur and coloring adds to their charm, as does the green rhinestone matching collars and eyes. The brown enamel is bright, and while there are a few light nicks here and there, it’s generally quite good for 50+ years of existence. They are overall in very good vintage condition, well made, and with a substantial feel to them. 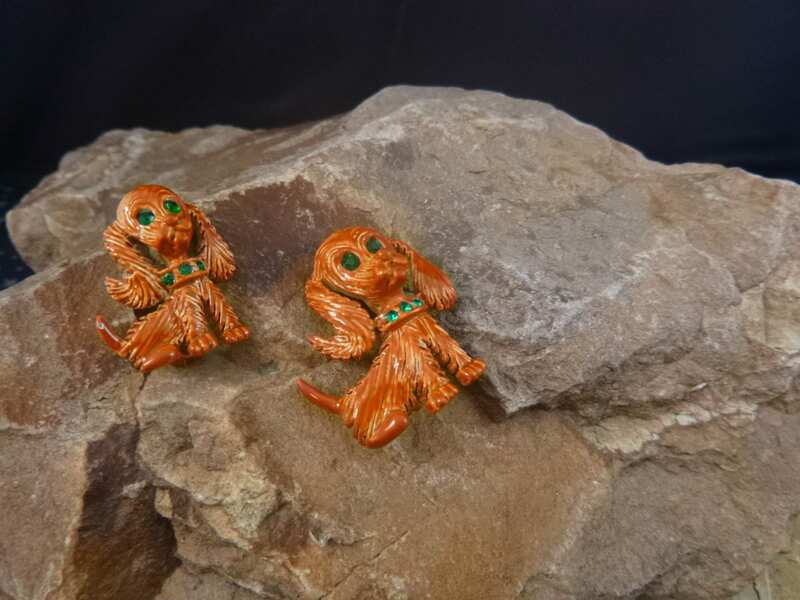 The pictures offer additional perspective on the cuteness and overall vintage condition of these cocker spaniel signed scatter pins.